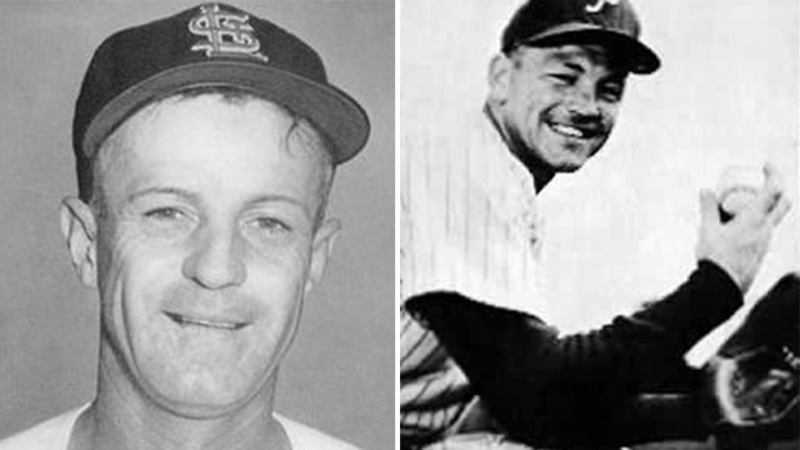 No-hitters during spring training are little noted and not long remembered. These are exhibition games; the object is to play and get ready for the official season. The outcome is of little consequence, so the fact that the losing team had no safeties is also of little consequence. Also, a spring training no-hitter inevitably comes with a caveat, as the losing team’s front-line players are as likely to be on the bench as in the starting lineup. Spring training no-hitters are rare (there have been only 29 to date, the last on March 24, 2017, when eight Angels pitchers stymied the Mariners by a 4-0 score), but understandably so, since the season lasts just a month. If they do occur, they are going to be credited to multiple pitchers, since all the pitchers need to get work in, audition for a spot on the roster, or both. A complete game by a starter does not serve these purposes. Besides, these days, complete games are increasingly rare during the regular season and are basically unheard of during spring training. The goal today is to get starters ready to turn in a quality start of 100 pitches by Opening Day. A pitcher flirting with a no-hitter in the first game of the season will not be around long enough to achieve it. Bob Feller’s Opening Day no-hitter in 1940 (April 16 vs. the White Sox at Comiskey Park) was the first of its kind and likely the last. In Feller’s era, starters were expected to be stretched out enough in the latter days of spring training to go the distance by Opening Day, but even then, complete games were not expected or desired during the earliest games on the spring training schedule. That narrows the window of opportunity for a complete-game no-hitter. Not surprisingly, there have been only three, and they all occurred in the latter stages of spring training. Cy Blanton, April 4 (Easter Sunday), 1939, at Pelican Stadium in New Orleans. Final score: Pirates 6, Indians 0. The two teams had almost identical seasons the year before. The Indians went 86-66 and finished third in the American League; the Pirates went 86-64 and finished second in the NL. So the New Orleans fans had the opportunity to witness a pretty good array of baseball talent. The Pirates starter was right-hander Darrell Elijah (Cy) Blanton, a five-year veteran. His rookie year of 1935 was notable, as he went 18-13 and led the league in ERA (2.58) and shutouts (four). (He wouldn’t have known it at the time, but he also led the league in WHIP at 1.081.) In 1937, he went 14-12, led the league in games started, and was named to the NL All-Star squad. From 1935 to 1937, he pitched anywhere from 235 to 243 innings. By 1938, Blanton was down to 172.2 innings and a 3.70 ERA, though he still fashioned a record of 11-7. At the outset of spring training in 1939, Blanton was 30 years old and likely wondering about his future. The no-hitter might have been encouraging at the time, but it proved to be something of a last hurrah. A few weeks later he injured some elbow ligaments and was never the same. During the 1939 regular season, he went 2-3 with a 4.29 ERA, pitching just 42 innings. After the season, Blanton was released and signed by the Phillies, where his downward slide continued. He was 0-4 with a 5.64 ERA in 22.1 IP when the Phils released him on June 12, 1942, after a month-long stay in hospital due to kidney problems. Subsequent comeback attempts were thwarted by Blanton’s alcoholism. He retired from baseball with a 68-71 record and a 3.55 ERA. It was a disappointing finish to a career that began with so much promise. Unfortunately, his life away from baseball was even more bleak. He was only 37 when he died of internal hemorrhaging as a result of cirrhosis. You might say Pirates manager Pie Traynor laid an egg on Easter Sunday. Originally, he was going to limit Blanton to six or seven innings, but when he saw the no-hitter in progress, he had a change of heart. Maybe he wanted to give the New Orleans fans a thrill, or just liked the idea of a no-no in NO. No one can say with certainty that the complete-game no-hitter doomed Blanton’s season, but it certainly didn’t help. Pittsburgh finished the 1939 season at 68-85, dropping to sixth place in the NL. A healthy Blanton would have helped, but the Pirates needed more than that to compete that year. Murry Dickson, March 30, 1948, at Al Lang Field, St. Petersburg, Florida. Final score: Cardinals 7, Yankees 0. In 1948, Al Lang Field on the waterfront in downtown St. Petersburg was the spring home of both the Yankees and the Cardinals. On this date, however, the advantage belonged to the Cardinals. The day before, the ballpark was the scene of a 17-inning contest between Yankees and Red Sox. The 2-2 tie was the longest spring training game in history (amazingly, it took only four hours and two minutes to play), so the Yankees may have been a bit fatigued when they faced St. Louis and right-hander Murry Dickson the next day. After Stan Musial hit a three-run homer in the first inning, the game was all but over. St. Petersburg fans were fortunate that spring, as both teams were highly proficient. The year before, the Cards finished 89-65, good for second place in the NL; the Yankees had won the AL pennant (it was Casey Stengel’s first year at the helm) with a record of 97-57. They went on to defeat the Dodgers in the World Series. Dickson was 31 when he authored his pre-season no-hitter. If there were any ill effects from this effort, they were not immediately apparent, as his 1948 season was not appreciably different from the year before (12-16 vs. 13-16). The same went for the Cards, who would go on to another second-place finish. Dickson’s ERA, however, ballooned to 4.14, boosted by his league-leading total of 39 gopher balls. This likely precipitated his sale to the lowly Pirates, for whom he lost 85 games in five years, leading the league in losses in 1952 (21) and 1953 (19). Traded to the Phillies in 1954, he did it again, with 20. Nevertheless, he hung on until age 42, when the Kansas City A’s released him after the 1959 season. In 18 seasons, he went 172-181 with a 3.66 ERA. Al Lang Stadium was the scene of many a memorable spring training game from 1947 to 2008, but in 1948 it hosted two of the most memorable on consecutive days. The facility is still in use, but not for baseball; it is now the home of the Tampa Bay Rowdies of the United Soccer League. Steve Ridzik, April 4, 1952, at Grayson Stadium, Savannah, Georgia. Final score: Phillies 3, Cardinals 0. In 1952, the Phillies trained, as they still do, in Clearwater, Florida, while the Cards were a few miles south in St. Petersburg. This game was on neutral ground; by this time the two teams had vacated their training camps and were making their way northward. The Cardinals had finished at 81-73 and in third place in 1951. The Phillies were a fifth-place team at 73-81 but still maintained a bit of cachet from their 1950 pennant. Right-hander Steve Ridzik debuted with that “Whiz Kids” edition of the Phillies as a 21-year-old September call-up, yet he was a young old pro, as he had begun his career at age 16 with the Greensboro Patriots of the Class C Carolina League. Ridzik was not eligible for the 1950 World Series. In his 12-year career, that was as close as he got to the postseason. After spending the 1951 season with the then-minor-league (Triple-A International League) Baltimore Orioles, he went to spring training with the Phils in 1952. It was a so-so (17-15) spring for the team. Ridzik’s gem in Savannah was surely the highlight. Since the game occurred with 12 days to go until the ‘52 opener (against the Giants at the Polo Grounds), Ridzik made a strong case for a spot on the pitching staff. By season’s end, the Phils finished at 87-67, good for fourth place, and Ridzik justified his roster spot by going 4-2 with a 3.01 ERA in 92.2 innings. It was a promising beginning, but as his career developed, it took on the contours of a journeyman’s. After 12 seasons (he also logged time with the Senators, Giants, Indians and Reds), he retired at 39-38 with a 3.79 ERA. Surprisingly, fans still can take in baseball games in the ballpark where Ridzik pitched his no-hitter. They’ve been playing baseball at what is now Grayson Stadium since 1926, and the ballpark is currently the home of the Savannah Bananas of the Coastal Plain League, an amateur wooden-bat league. The most recent professional team at this long-time minor league shrine was the Savannah Sand Gnats, who moved to Columbia, South Carolina (they are now nicknamed the Fireflies) after the 2015 season. The old ballpark in Savannah belongs to a vanishing breed, but the complete-game spring training no-hitter likely has vanished for good. There can’t be many people left who can say they saw Ridzik’s achievement, but the last fan standing may be the last baseball fan to see one of the rarest events in baseball history. Even if it doesn’t count. So….just like the regular season, many no-hitters are tossed by the obscure or mediocre or has-been types. For every one tossed by a future HOF, there must be 9-10 from the Bobo Hollomans of baseball. Thanks for the article! How the heck do you research something like this? Watched many a game at Al Lang Stadium in the early 90’s when the Cards and Orioles still played there. You could get into the wooden bleachers then for a buck or two down the lines and beer was $2 for a 16 or 20oz. Good times.